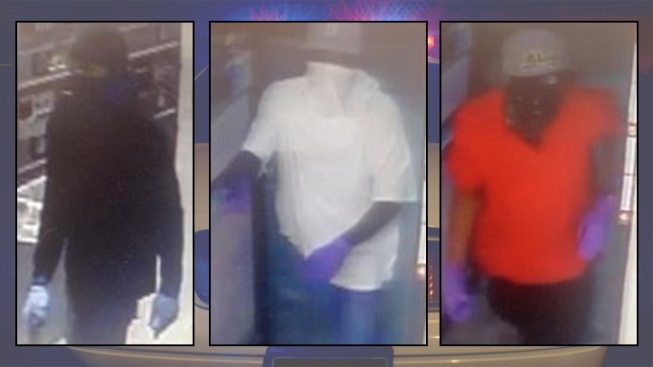 Police need the public's help in identifying three suspects wanted in a Largo, Md. business robbery Wednesday evening. The three suspects entered a store in the 10200 block of Lake Arbor Way at approximately 10 p.m. Two of them were carrying guns and demanded cash. Once they got an undisclosed amount of money, they fled the scene. If you have any information on the incident or the suspects, contact the Prince George's County Police Department at 301-772-4905.